If you expect to see everything, have a plan and a map. Leave your husband at home. I've been to many quilt shows with my wife so when we attended the 30th Anniversary International Quilt Festival, it wasn't my first visit to this show or to many others. I knew what to expect. This show is BIG. 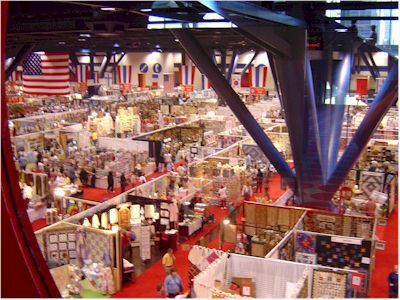 If you get on one end of the George R. Brown Convention center festival floor and take a look through all the people down the long passageway between quilt displays and market booths, I promise you that you can see the curvature of the earth. The display included 1800 quilts, wearable art, and original cloth dolls divided into 45 special exhibits. Don't leave your wallet at home. The festival also includes over 1000 vendor booths. Things have changed in the 30 years I've been observing quilts and quilters. My first big quilt event was a quilt festival in Albuquerque, New Mexico, in the later part of the 1970s. At that time, if a quilt was not hand pieced, hand quilted, and 100% cotton, it was not considered a "real" quilt. 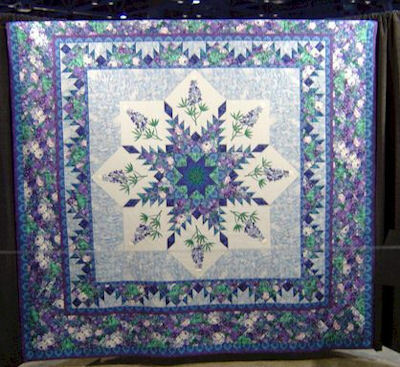 The quilt that won the biggest prize this year was a beautiful painting on fabric that was machine quilted. It was fabulous, but I question it's "R" value to keep you warm on a cold winter night. You would never take it to a picnic, or if it were to get soiled, I wouldn't recommend machine washing. To me, quilts come in two classes, much like china. There are everyday quilts made for function and warmth, and then there are special heirloom quilts. The best of those are beautiful and can be functional. In her later days my grandmother was known to make quilts out of double knit cloth that was popular at that time. They were machine pieced, hand quilted, attractive, machine-washable and functional - so functional in fact that you could sleep under them with great comfort from the winter cold, and the next day you could use them to pad a refrigerator on a moving dolly with neither one of them worse for wear. The festival attendees all have one thing in common. They're all different. 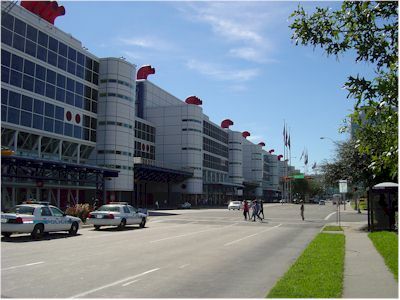 They are young and old, large and small, with and without small children, and in Houston, foreign and domestic. One other thing; when quilt markets went from selling fat quarters and thimbles to selling computers and computerized quilting machines that would fill a two-car garage, there are men; but there are still not many. This is still a woman's domain. As the quilters and quilter wannabes move through the displays of quilts and shop through the market booths, they look as if they were taking inventory, trying not to miss a single thing. They are like sponges soaking up the aura of the color and thread works of art. Wide eyed they are humbled by their own inadequate attempts at the craft. Not to worry, like my grandmother, put love in every stitch and enough batting to keep out the cold and you will have a treasure after my heart.